As seen in the mind-boggling Trans-Siberian stage show! 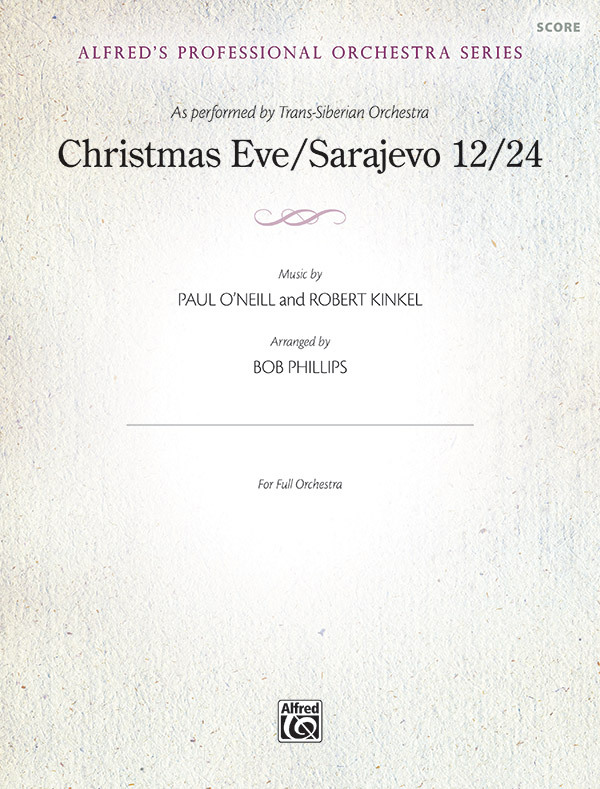 This thought-provoking medley of Christmas tunes describes a lone cellist playing Christmas carols in the midst of the Bosnian war. The piece reflects the power, drama, and hope of a single musician in the midst of war, reflecting on the power of music to bring hope. The rock rhythm section contributes to an intense and very hip musical experience. Optional parts for electric guitar or electric violin can be used to add interest to the performance. This arrangement includes parts appropriate for a community or professional orchestra. The bowings are those that would be expected by professional players.